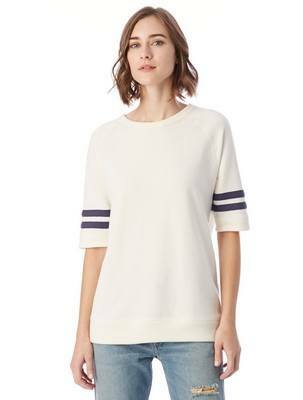 The Tee Features Ribbing at neckline, arm cuffs and hem. Designed with extra comfort and ultra-softness. This Fifty Yardliner Vintage French Terry T-Shirt are comfortable and warm, just add your logo to these promotional t-shirts. 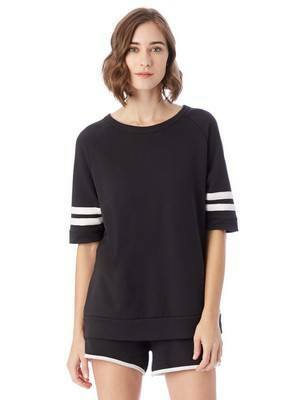 It’s made of 50% Cotton, 50% Polyester to keep your comfortable all time. 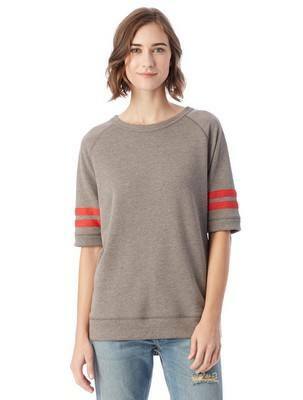 Designed with Contrasting stripes on arm. Promote your company on the street, reaching anyone who sees it. Choose a color combination that best compliments your logo or event.